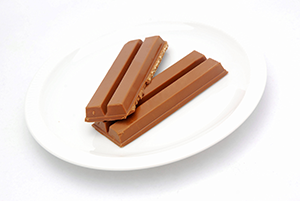 The Court of Appeal has recently determined against Nestle in its long running ‘KitKat’ trade protection case against Cadbury. The judges upheld a previous High Court ruling that the four fingers shape of KitKat was not distinctive enough to qualify for protection from copying. Interestingly, part of the reasoning for this was that it had not been promoted as a selling point because the shape is concealed by the (silver) packaging. This does seem a little harsh on Nestle but emphasises the point that those producers claiming protection will need to prove that consumers are influenced by a ‘distinctive mark’ to identify where a product comes from. It is obviously much harder to do this with shapes, smells, colours and other sensory experiences than say a brand marking. The case is also significant in the context of Brexit. EU legislation and judgements are generally more likely to support trade mark claims. In an earlier judgment, by the European Court, although Nestle lost in terms of outright protection across Europe the court did find that the shape had acquired distinctiveness in the UK.